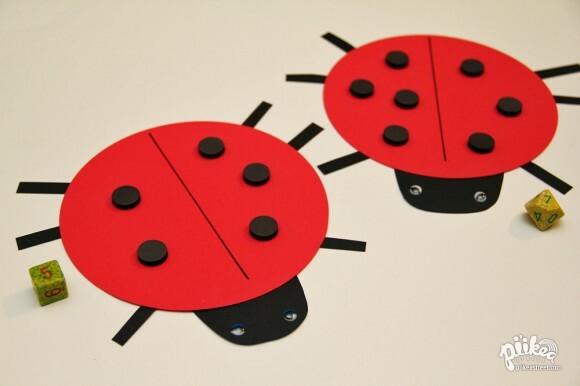 Ladybug Spots Game | Pi'ikea St. Need another idea to make counting fun? Our Ladybug Spots Game is simple and quick to put together. To make a playing board, cut out the following pieces. Then glue the head and legs to the bottom of the body piece. Glue or draw on some eyes to the head. 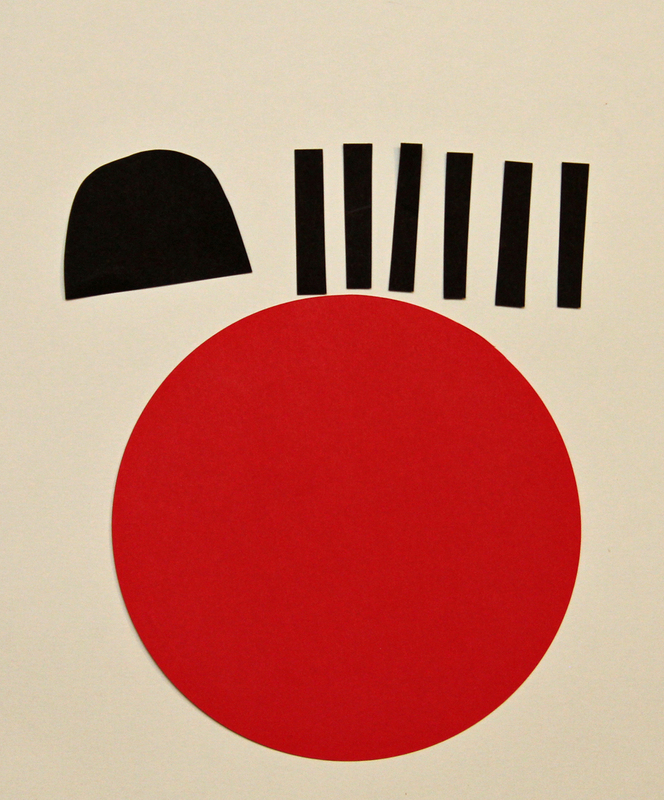 For the spots, use anything black and round. I used magnets because they are easier to handle than thin pieces of paper. Black buttons work great too. Round up some dice to play the game. 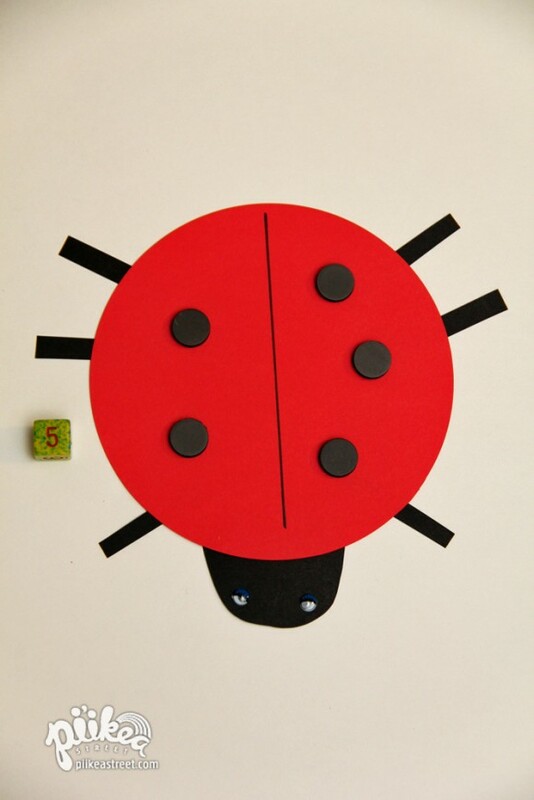 Roll the dice and let your child add the number of spots to the ladybug. 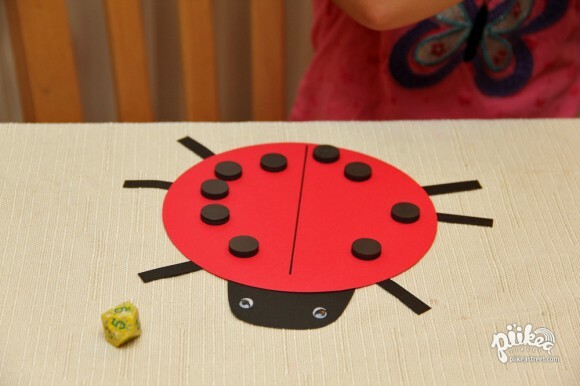 You can also increase the difficulty according to your child’s counting skill level by using dice with more sides.